If you’re like us, then you’re already counting down the days to Sunday night’s season premiere of ‘Mad Men‘. Besides the great set design, writing and acting, we have a special affinity for this series because there’s always plenty of mighty fine homes to drool over. From Sinatra’s former Californian Estate featured in “The Jet Set” episode, to a penthouse so perfect we nominated it for an award; real estate and ‘Mad Men’ clearly go hand in hand. We love 1960s nostalgia but we’re sure glad we don’t have to rely on snail mail like they had to back then. Besides, the mail wouldn’t make it to your friends’ houses by Sunday anyway. Thanks to Facebook and other innovative eVite sites, you can design and send a pretty nifty eVite in just a few minutes. 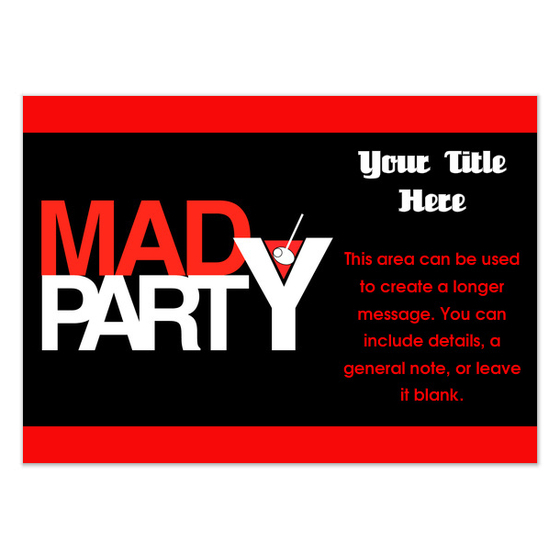 Pingg has a few free and premium Mad Men templated eVites that look really nice. What’s a house party without some food and something to wash it down with? You can go easy and prepare some simple finger foods or you can really go all out a la Betty Draper (Francis) and cook a full course meal for your guests. AMC TV have put together some 1960’s inspired menus for you to consider: From deviled eggs to Beef Wellington to Jell-O & fruit salad rings; their menus got me hungry and will definitely make a splash at your party. They also some delicious non alcoholic/alcoholic drink recipes as well. Part of what makes ‘Mad Men’ so popular is the nostalgia it evokes with its perfect set designs. Now it’ll be nearly impossible/not a smart idea to completely 1960-ize your home, but you can do a few small things to properly set the ‘Mad Men’ mood. 1. The folks at AMC TV have provided a download of the Sterling Cooper Draper Pryce logo. Print and hang it up! 2. It’s probably too late to go out and buy some cheap retro posters online, but you can Google and print out some old travel advertisements or magazine covers and hang them up strategically throughout your home. If you really want to throw an authentic party, collect all cell phones and hide anything made by Apple or Google. 3. If you’re looking for some other ‘Mad Men’ specific touches you can add, you can download character masks and promotional posters as well. In the words of Barney Stinson, suit up! 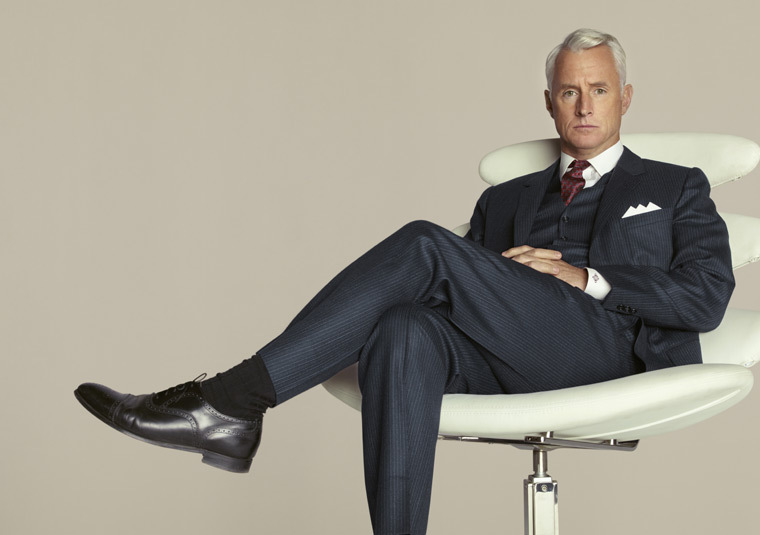 We’re guessing that the likes of GQ Magazine and other fashion magazines and blogs anticipate new ‘Mad Men’ premieres like 10 year old kids look forward to Christmas.. they can’t wait! 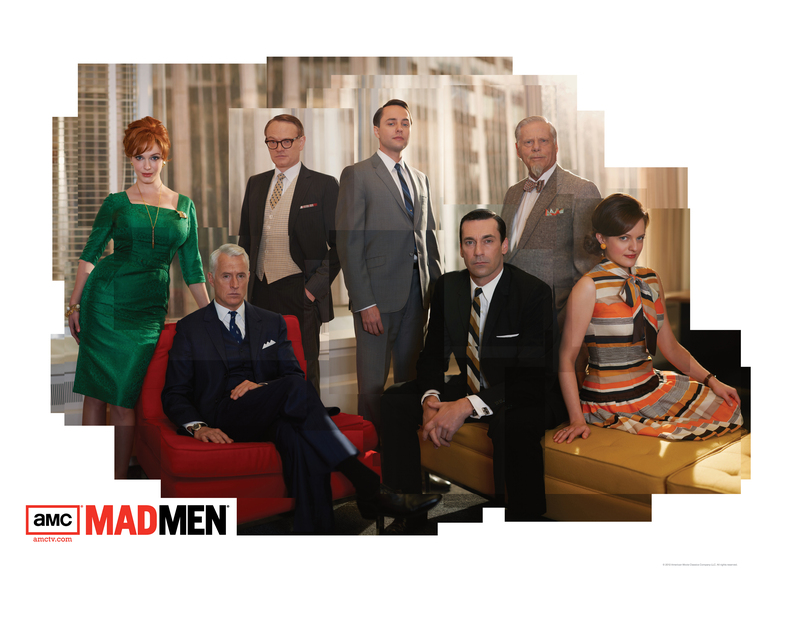 Part of what makes Mad Men so awesome is how fashionable and hip everyone looks. It goes without saying that you should suit or dress up! If you want to really take it back to the 1960s, you can sport some retro glasses or shades that are back in style, get a fedora, rock that pencil skirt or get some gel and bring the side part back. Believe it or not, there’s a Mad Men fashion blog that’ll give you some inspiration if you need it! My favorite part of ‘Mad Men’ has to be the wonderful music they play each week. I’m a huge fan of music from the 1960s, and chances are you are too if you’re a ‘Mad Men’ fan. Rolling Stone’s “Ultimate Mad Men Playlist” on Spotify will more than do the job! Download the free software to your computer and stream the music away to make your party really feel authentic. Just hide the computer! You don’t want your house guests coming over right before the show starts. Invite them over a few hours before the 9pm start time and indulge in some fun and games…1960s style. If you want to keep it offline, you can take it back to the board game days and play some Monopoloy, LIFE, 21, etc. You can usually find these board games at local shops on the cheap. There you have it! Follow these simple steps and I’m pretty sure you’ll have a great time with family and friends. Make Don Draper proud. The season premieres this Sunday with a two hour episode starting at 9pm on AMC. Will you be watching? We sure will. Find more resources for homeowners here. 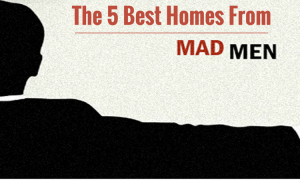 In honor of the Mad Men series finale, take a look at the 5 best homes we've seen over the show's 7 seasons. 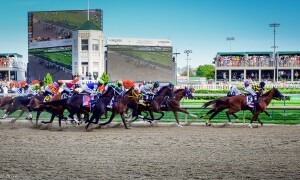 Whether you do it for the outfits, the cocktails, or the delicious Southern food, Derby Day is the perfect excuse for throwing a party at home! Your guide to throwing a great party at home.